Working a 7-5 can really take its toll especially when the sun is shining outside and you’re confined to the indoor wonders of four computer screens, SO after a long day at work it’s often the most simple and not so exciting things that seriously excite me! Making smoothies, hanging out with my sisters, an episode of Scandal [can you start back already please!!! arghhh] and blogging! In fact I’d pick making a smoothie over a trip to Zara [store addiction] any day, how much fun is shopping when you’re exhausted eh?! Having officially hit 21 months posts transition I’ve had more than enough time to trial out a gazillion products in hopes of finding some staples that have made and continue to make my transition easier. The results? The fantastic ten below! Now please take note these are by no means only for transitioning hair, in fact in the ‘O’ residence most if not all of these products have proven to work wonders on both of my sisters hair [relaxed and natural], so this definitely is a post for everyone! The past two weeks have literally gone over my head. After a weekend retreat with the youth at my church [those folks have SO much energy], followed by a very stressful first day in my new role at work, I decided a trip to the spa was a must! 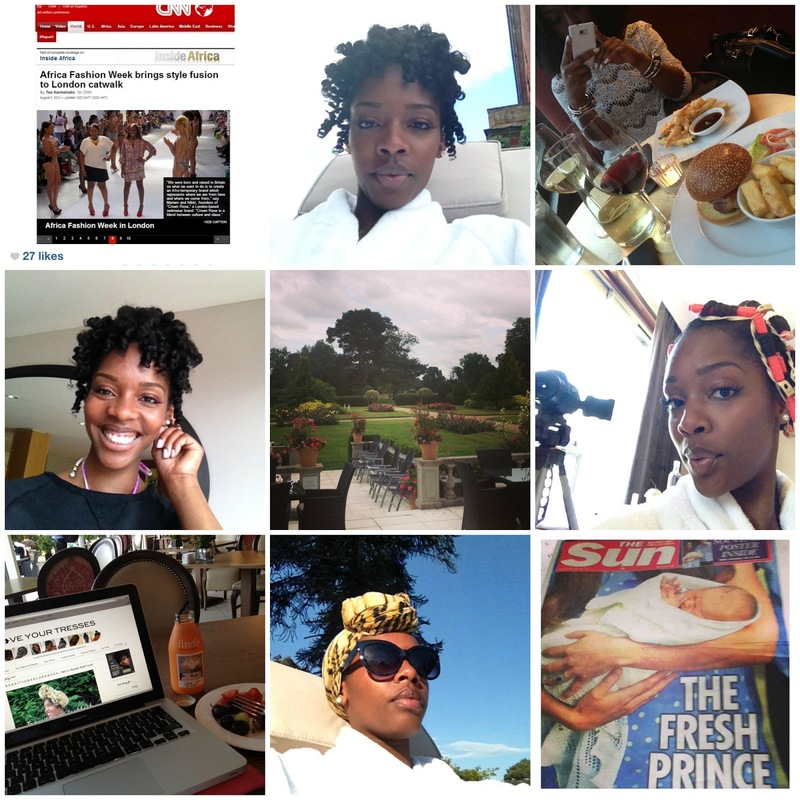 So I took my camera, tripod, laptop, bikini and some DVDs to Champneys and of course kept you all in the loop via our beloved Instagram! I would definitely recommend all my Londoners take a trip to the Champneys Tring resort, top notch is all I can say! Anyway here is my week plus the last on Instagram, if I’m not here best believe I’m there!